While I was in Toronto these past few days, I got a chance to see two of Toronto Transit Commission’s (TTC) newest transit vehicles. For those unfamiliar with public transportation in the Greater Toronto Area, a number of transit authorities provide local transit service within different regions in the GTA. The TTC provides transportation services within the Toronto proper, including the subways, streetcars and bus service. I suppose a more detailed introduction to the different public transportation services would be ideal in a separate post. The first were the Nova Bus LFS articulated buses. 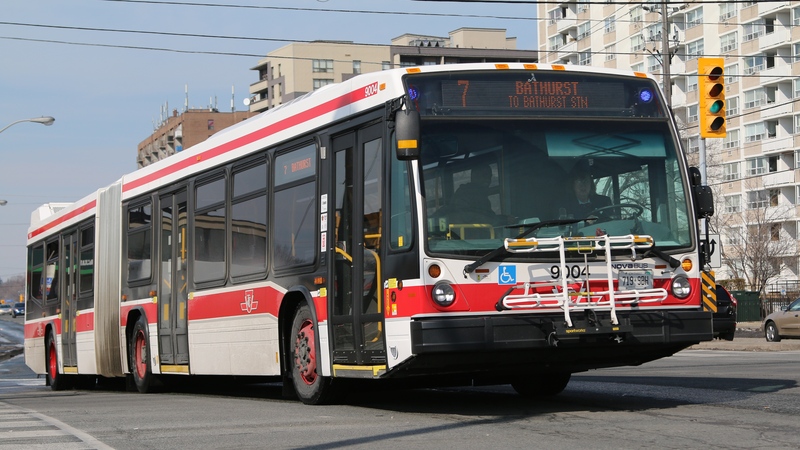 These buses, introduced mid-last year, were the first articulated buses in the TTC fleet since 2003. This one was seen on the #7 Bathurst line. I must give credit to an Android app called Transit Now Toronto for helping me find out when the articulated buses were coming down the line. I actually did not realize that TTC had real-time arrival data available, so actually I spent half the time trying to find these buses the “old-school way”. The second was one of the new streetcars. This was a bit of a lucky catch as I was at Bathurst station originally looking for the Nova Bus articulated buses. When I was coming up from the subway as I saw the streetcar demonstrator pulling through the streetcar loop. I would have liked to chase it further for better photos, but my time was constrained. 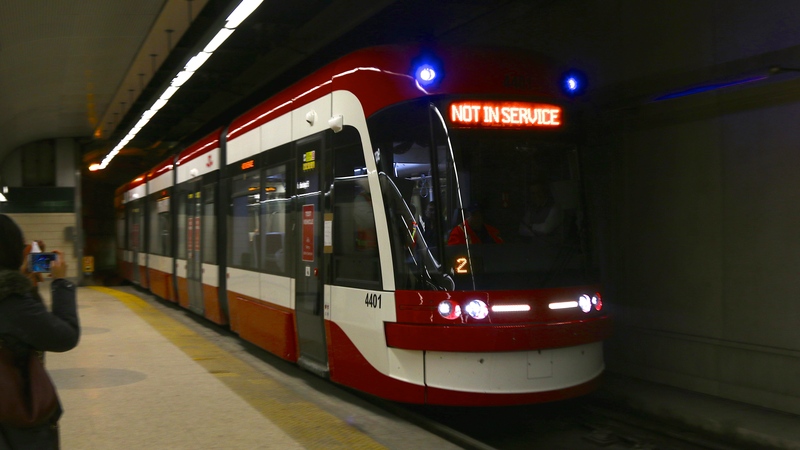 The new Toronto streetcars are built by Bombardier, and are similar to the ones that were demonstrated here in Vancouver during the Olympics. A fleet of 204 Flexity Outlook units have been ordered and are replacing the aging fleet of CLRV and ALRV streetcars that were built in the 1970s and 1980s. On an unrelated topic, the weather in Toronto was very forgiving while I was there. 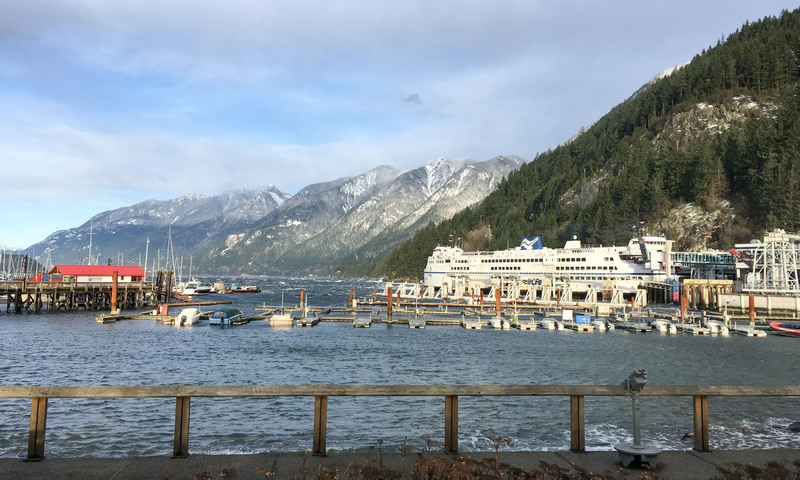 I was hoping to see some real snow fall, but the weather turned out to be “relatively warm” (by Toronto standards); on some days it was even sunny. 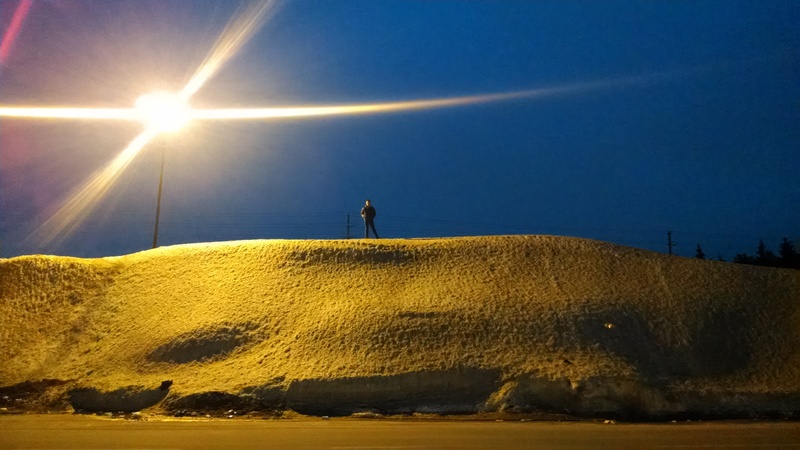 So before my flight back, my cousin took me to the largest (manmade) snow mound he knew of. I climbed on top of it just for kicks. Me on a mound of snow. Yes apparently it’s all snow, I’m assuming the land here was flat before they started piling the snow up here.